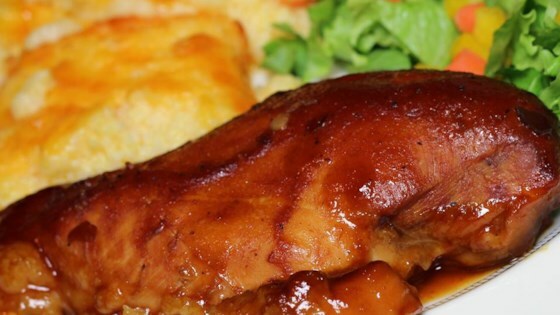 "A little spicy barbeque chicken that simmers all day in the slow cooker. Super easy preparation." I made this today, and it was very good. I used chicken leg quarters because that's what I had. I served it with broccoli mac & cheese and corn on the cob. It was perfect for a Monday. This recipie is copied exactly from Sweet Baby Ray's. You should have given them credit.